Turn off the taps: Bill 12: Preserving Canada’s Economic Prosperity Act passed third reading Alberta’s Legislative Assembly and once the bill is given royal assent, proclaimed into law and accompanying regulations are written, New Democratic Party Premier Rachel Notley‘s government would have the power to halt the flow of oil and gas into British Columbia. 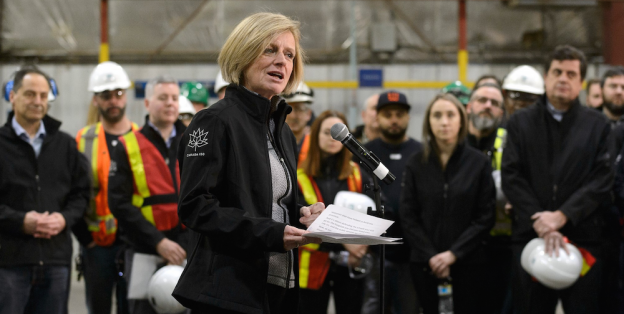 The move is the nuclear option available to the Alberta government in the event it feels the need to implement major retaliations against BC for its opposition to the Kinder Morgan Inc. Trans Mountain Pipeline. 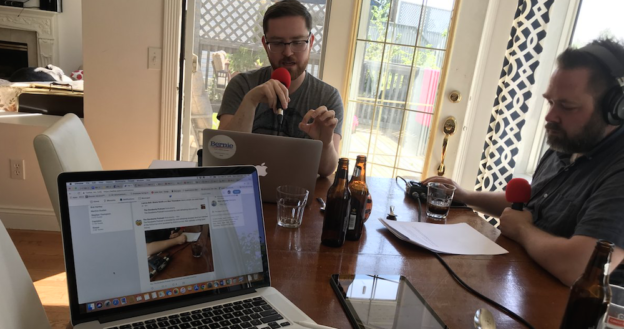 Kinder Morgan Inc. has given the provincial and federal governments a deadline of May 31, 2018 to sort out the political dispute over the expansion of the already existing pipeline from Edmonton to Burnaby. But it appears as though federal Finance Minister Bill Morneau saying the federal government is willing to offer significant financial support to the corporation to compensate for any inconveniences our Canadian system of federalism and democracy may cause the Texas-based corporation. Singh’s choice to oppose the pipeline reflects the composition of his federal caucus of 43 Members of Parliement, which includes 1 MP from Alberta and 14 MPs from British Columbia. 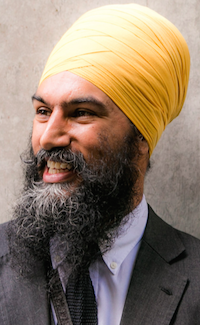 In deciding the pick the side of Premier John Horgan‘s BC NDP in this dispute, it appears as though Singh has come to the same conclusion as Jason Kenney about the likely outcome of Alberta’s 2019 election. There is also speculation that Singh could run in an upcoming by-election in Burnaby-South following MP Kennedy Stewart’s decision to run for mayor of Vancouver. Giant new provincial park: Environment and Parks Minister Shannon Phillips announced the creation of five new wildland provincial parks covering 1.3 million hectares of new protected areas in northern Alberta. Along with the Wood Buffalo National Park, and the Caribou Mountains Wildland Provincial Park these new wildland provincial parks are the biggest contiguous legislated protection the world’s boreal forest. According to a Government of Alberta press release, the new protected areas were created through a partnership with the provincial and federal governments, the Tallcree First Nation, Syncrude and the Nature Conservancy of Canada. “Protecting landscapes from industrial activity is an essential element of responsible oilsands and oil and gas development,” said Simon Dyer of the Pembina Institute. “Other planning processes underway will further protect under-represented ecosystems and habitats for woodland caribou. We look forward to Alberta becoming the first jurisdiction in Canada to achieve the benchmark of 17 per cent of its landscapes as legislatively protected areas as landscape planning is completed in other parts of the province,” Dyer said. Kenney’s harsh words give an indication of how relations between Alberta and Ottawa could sour if he becomes Premier of Alberta in 2019. This entry was posted in Alberta Politics and tagged Alberta NDP, BC NDP, Bill 12: Preserving Canada’s Economic Prosperity Act, Bill Morneau, Burnaby-South by-election, Jagmeet Singh, Jason Kenney, John Horgan, Justin Trudeau, Kennedy Stewart, Kinder Morgan Trans-Mountain Pipeline, Linda Duncan, Mayor of Vancouver, Nature Conservancy of Canada, Nuclear Option, Oil Pipelines, Pembina Institute, Postmedia, Rachel Notley, Rick Bell, Shannon Phillips, Simon Dyer, Syncrude, Tallcree First Nation, United Conservative Party on May 17, 2018 by Dave Cournoyer.